After the age of 8 months babies start eating dosas, idlies, etc; Fried idlies is a good choice at this point as the size is perfect for babies and it takes lesser time to make than idlies. 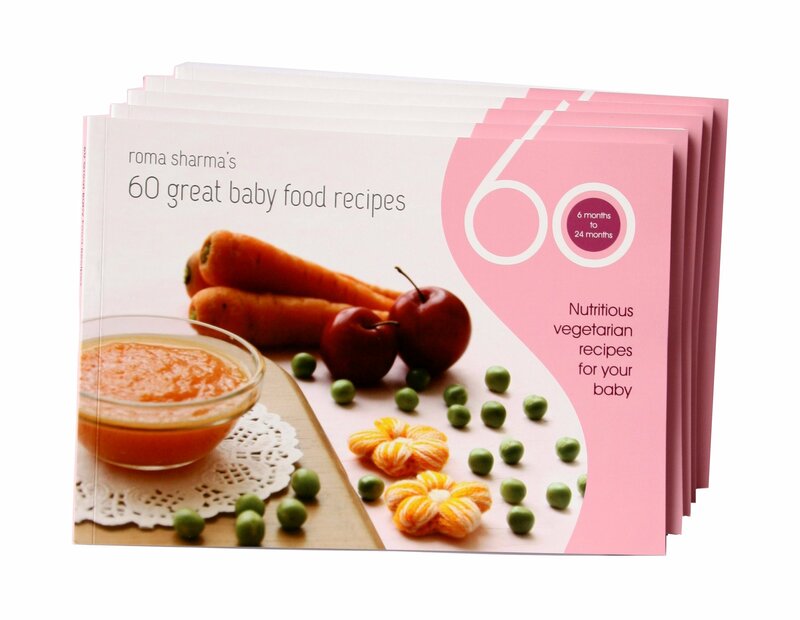 Moreover, adding some vegetables can help make it a nutritious choice for your baby. For this dish you need to get a stand which resembles a tava with molds in it. 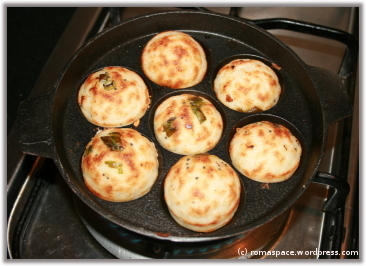 This is locally called a Kuzhi Paniyaram stand and can be directly used on flame for making these mini fried idlies. Grease the molds with ghee. Add rai and let it crackle. Fill batter in each mold. Garnish with grated carrot, finely cut tomatoes and mint leaves. Fry each idly for about 5 mins. Flip over and continue frying the opposite side. You can add some more salt, finely chopped onions, green chillies and grated ginger to the dosa batter. Add a tadka of rai, channa dal and curry leaves. Use oil instead of ghee here. Please try to use dosa batter thats slightly sour. In other words, you can use up the previous days leftover batter. You can use Spring onion leaves instead of mint leaves. Your baby might like this variation too. 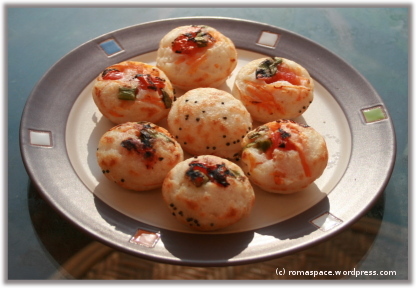 Try to use a non-stick mold as otherwise you will need to pour ghee from the sides after filling batter into the molds. My stand’s manual told me to use it only on low flame. Please read instructions on your stand before using. Your kids recipes r really nutritious. I have 2 daughters. Elder one is very fussy eater ant the younger one is of 8 months. Yoynger one is vry weak. I m giving ger vegetable soup, apple sauce, dalia, suji kheer etc bt still she is nt gaining weight. Is their more healthy recipe whith which she can gain weight. I ve read it somewhere that we can give oats to smaller kids below 1 year also. If at’s true pls provide some healthy recipes. Formula milk helps babies put on weight. In a month or two please check with your pediatrician. If she permits, you can switch to formula milk to help your baby gain weight. 1) Stomach upset : an infection could cause a diarrhea and hence weight loss. Are you using feeding bottles? Please discontinue, if so. 2) Not getting enough sleep during night or day : again due to some health reasons or sometimes due to wetness babies don’t get sufficient sleep. That hinders good weight gain. 3) Insufficient breast milk : Mother may not be lactating enough or may not be eating healthy food due to which baby doesn’t benefit much from breast milk. Sometimes, baby’s appetite for breast milk is hindered by too much top feed.